I, much like most of you will probably have some kind of love hate relationship with the gym, running or any kind of exercise in general. In the Summer I find myself stocking up on coloured gym gear, fishing for last year's trainers and renewing my membership at my local gym. Come winter you'll be lucky to get me out of a dressing gown! 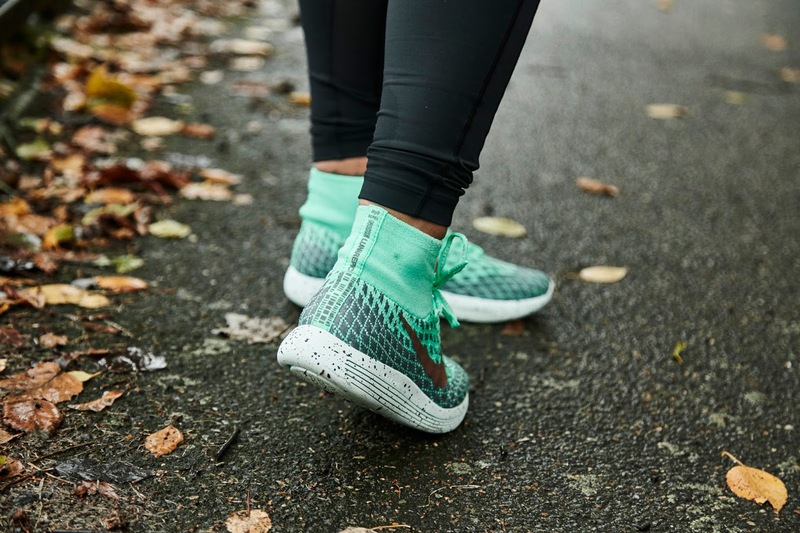 So, when Nike+ Run Club and thier run club coaches asked whether I'd like to take part in an epic running experience in the new LunarEpic Flyknit Shield running shoe and kit designed for specific weathers, I was up for the 5K challenge - It was about time I found the right balance! Sure enough, as we stepped off the tube into the Nike King's Road store it poured! 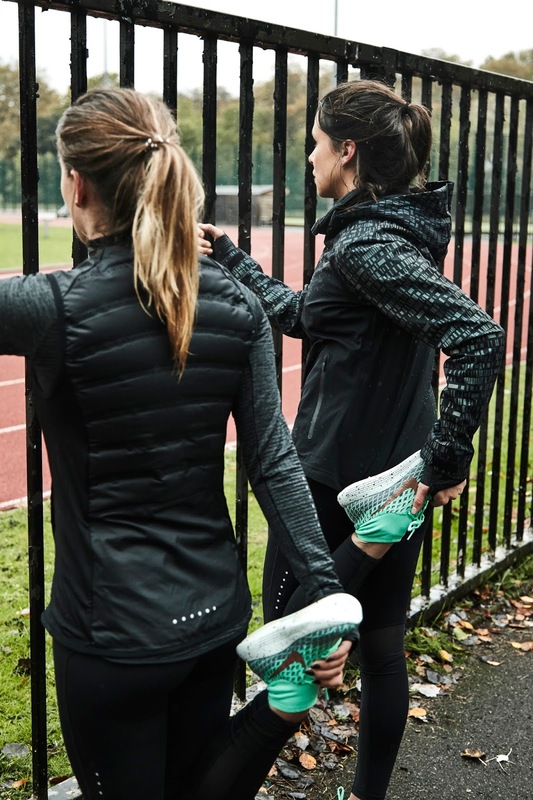 Our Nike+ run club coaches suggested during our styling experience, it's important to layer up in breath-able water resistant pieces to support you during your run. 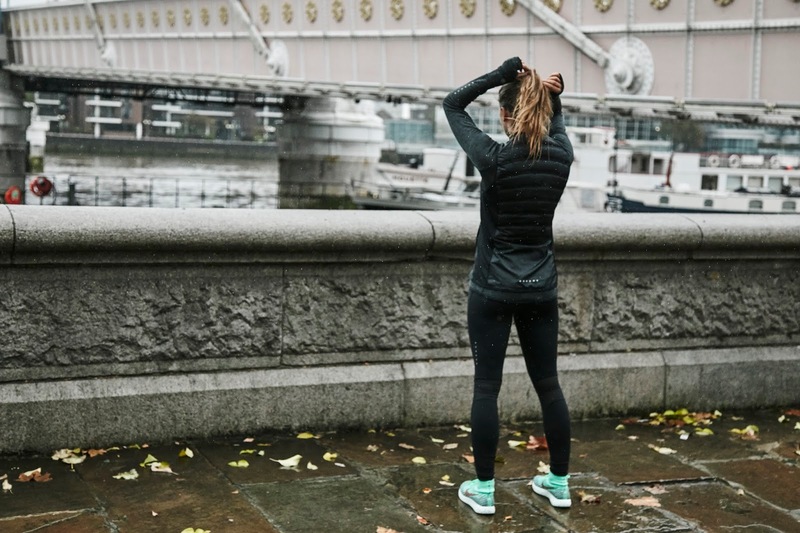 If you're struggling with what to wearing during your run in different weathers then check out the Nike+ guide here. 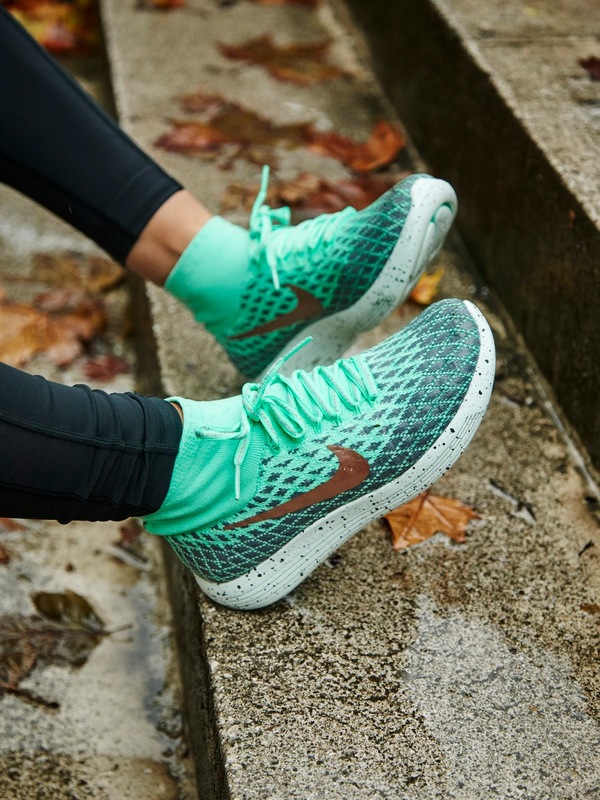 What I can tell you from my own experience is that you've got to invest in the LunarEpic Flyknit Shield running shoe! It's water-repellent mid-rise upper layer helps keep your feet dry and the traction pattern on the sole enhances your grip on wet surfaces. 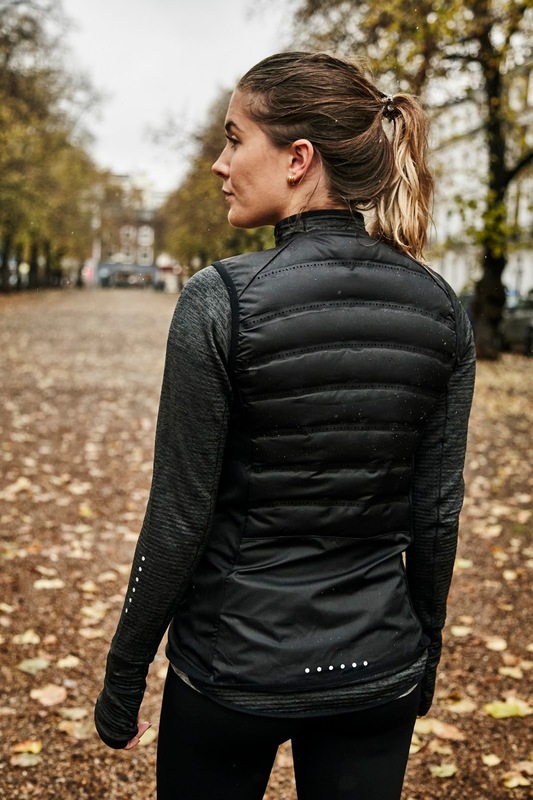 Chose your kit wisely to keeping warm, dry and safe during your run. 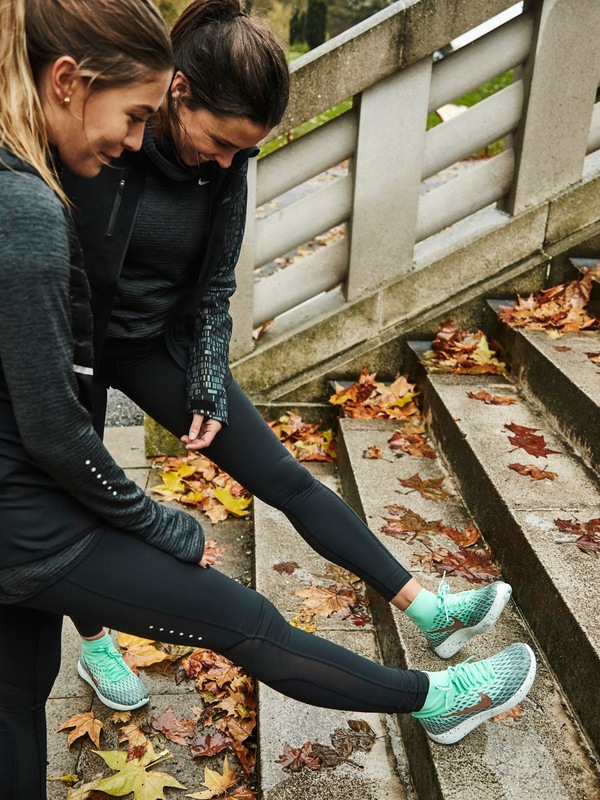 The motivation to complete those runs when it is cold, wet and dark can be amped up when you know that your clothing and shoes are going to support you no matter what the weather! 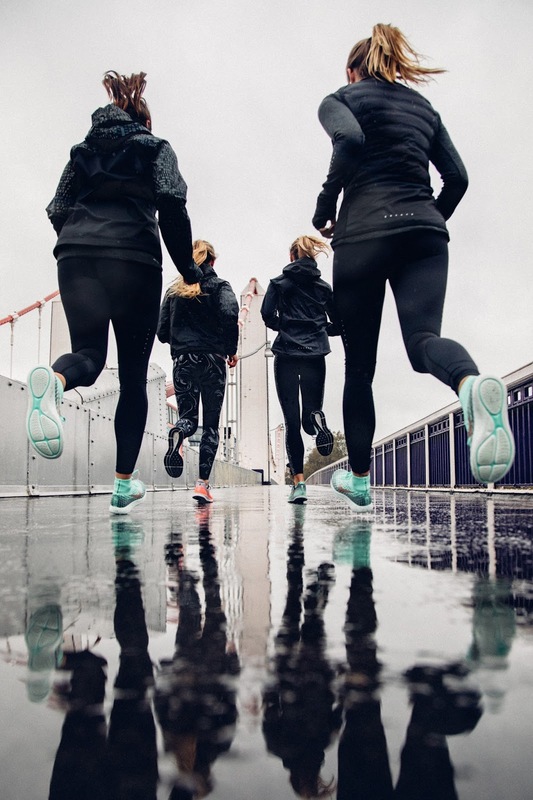 The Nike+ Run Club App surrounds you with everyone and everything you need to run better. 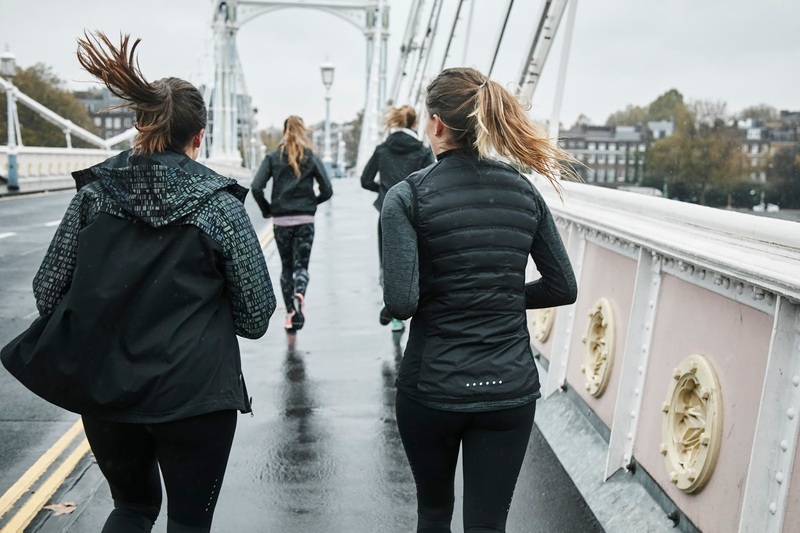 You can motivate yourself by setting challenges with your friends-chasing each other vertually if you can't run togther and motivation each other along the way. 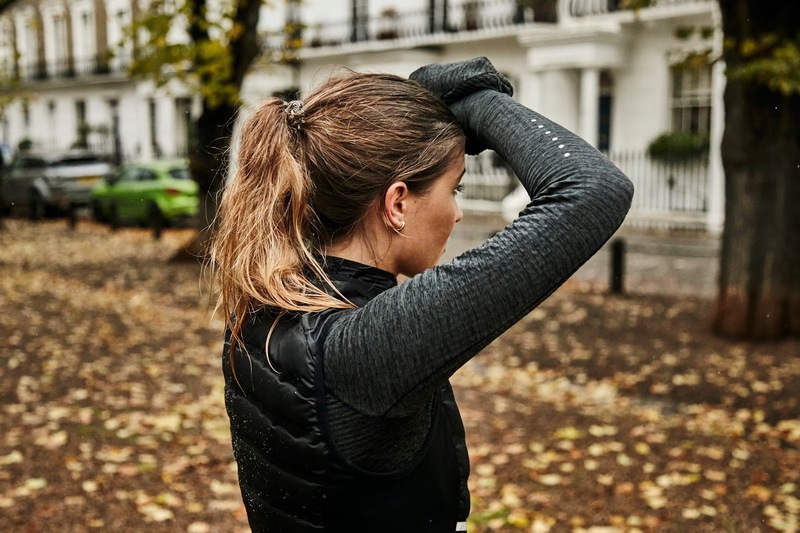 The weather in Winter can stop us from doing a lot of things, so Becs (our running coach) suggested incorporating chores into your training. 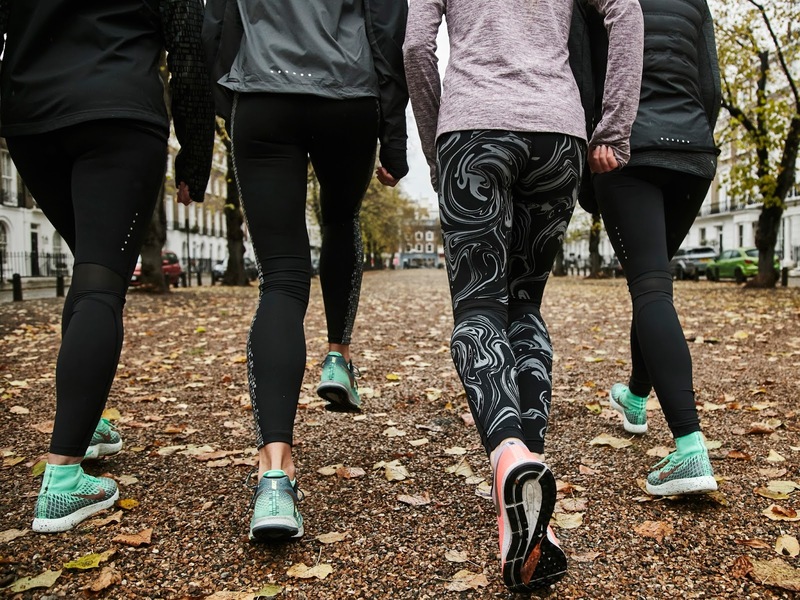 Why not run to meet friends for coffee, run to the gym.. or why not take a trip shopping? By getting your friends involved you can motivate each other and get your heads into a "just do it" mantra. This post was created in collaboration with Nike and the new Nike LunarEpic Flyknit Shield Trainer. As always all words and styling are my own. I definitely need to step up my fitness come winter time, this running gear is fab! I'm definitely not a natural runner, but it's always been something that I've tried to find the courage to do!